Happy Monday everyone! Or for anyone who is actually working this week. I feel like everyone is already on their 4th of July vacations! The cocktail party I hosted on Friday went off without a hitch – I loved getting all of my friends from various circles in one place. The more the merrier right? What did you do this weekend? 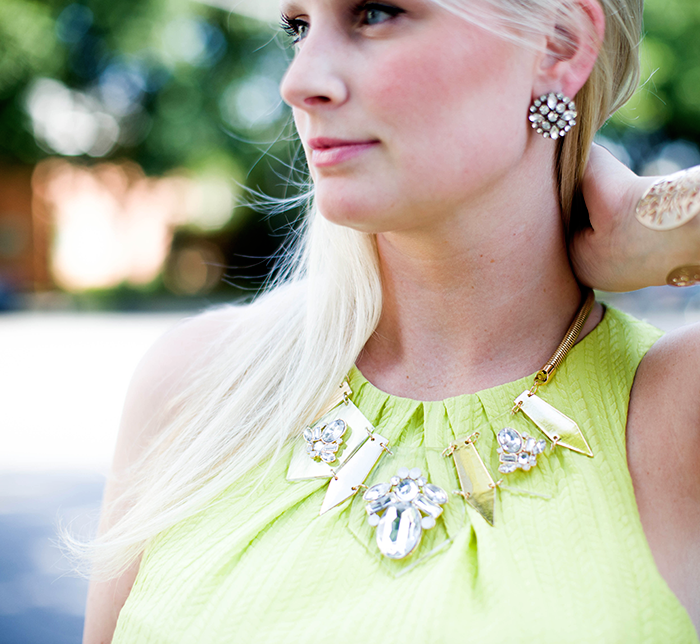 That dress is gorgeous on you, LOVE the necklace, and what FABULOUS shoes…you look amazing! Just beautiful! That lime color looks so good on you! this look is stunning. Love the color of the dress and those heels!